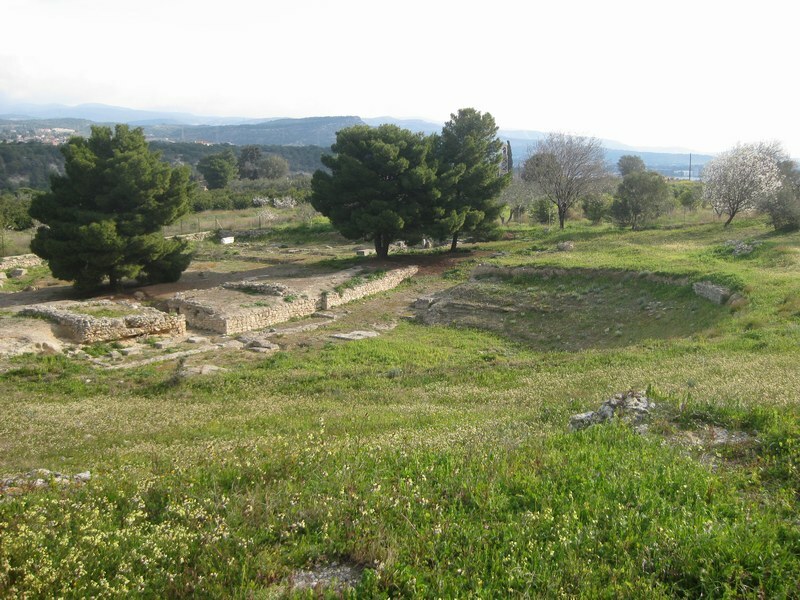 The theater is located on the slope of a shallow ravine, NE of the plateau of the temple of Poseidon. To create the appropriate area, one side of the ravine was digged to construct a three-sided cavea for viewers. The orchestra was placed at the base of the cavea well below ground level. The course of the flume system which follows the line of the first seats, helps us understand today the way they were arranged. 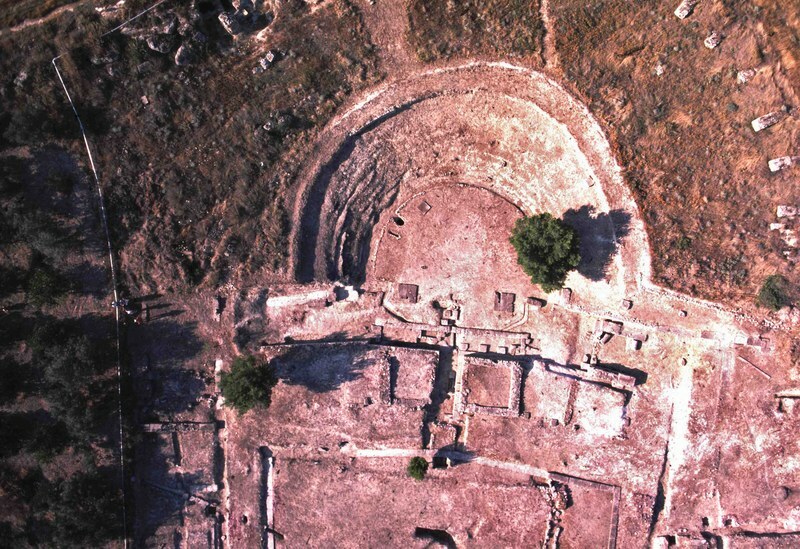 This first construction of the theater dates back to the second half of the 5th century BC and is contemporary with the construction of the Classical Temple of Poseidon and the Classical Stadium. About a century later, the theater was reconstructed. The cavea widened and acquires a curved shape. The stage was rearranged and a proscenium was constructed, whose 11 openings between the support pillars closed with tourniquets. The whole construction was made of wood and could be dismantled in between festive periods. 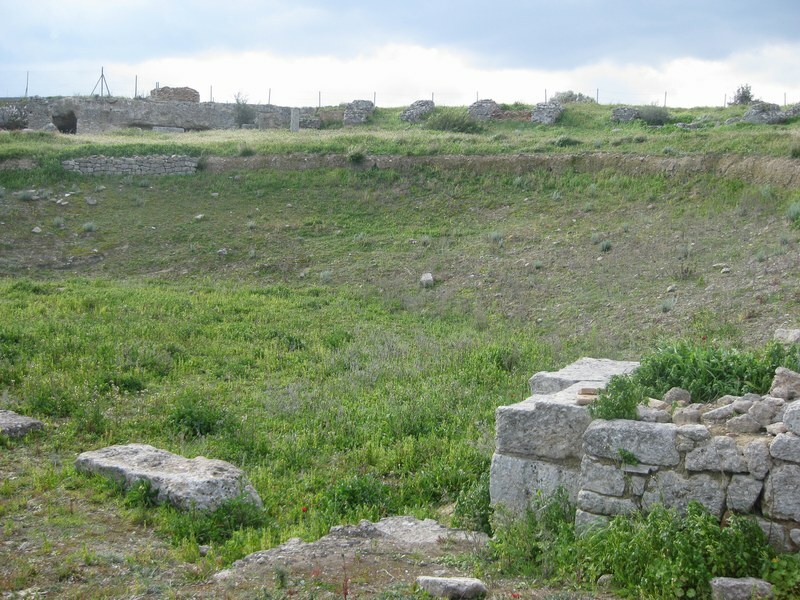 In the 2nd century AD, plans to further expand the cavea until the top of he ravine were concluded, but the works never went beyond the laying of foundations. The stage building acquired a Roman scaenae-frons, but pulpitum was kept high and narrow. Domes covered the two side entrances (parodoi) and the central passage crossing the stage. Two columns of 7.80 m. high with Ionic capitals were standing at the orchestra possible as supports of huge statues (12 vertebrae, both capitals and part of the foundation were discovered built in the walls of Byzantine Fortress “Examilia”). Behind the stage there was a large courtyard with wooden colonnades on both sides. The east and west sides of the court were crossed by roads connecting the theater with some buildings to the north which have not yet been revealed. The theater is located on the slope of a shallow ravine. Its first construction dates back to the second half of the 5th century BC. About a century later, the theater was reconstructed. 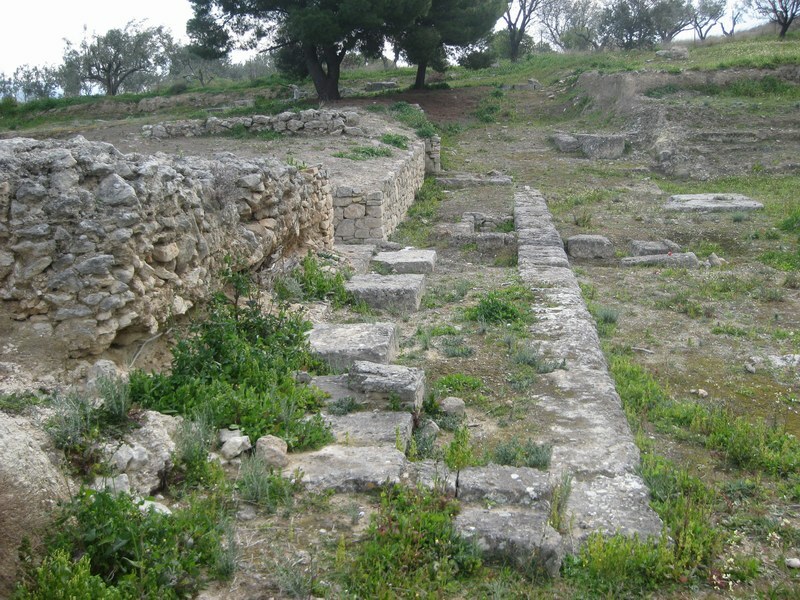 The theater’s cavea was enlarged in Roman times. E.R. Gebhard, The Theater at Isthmia Chicago, 1973. 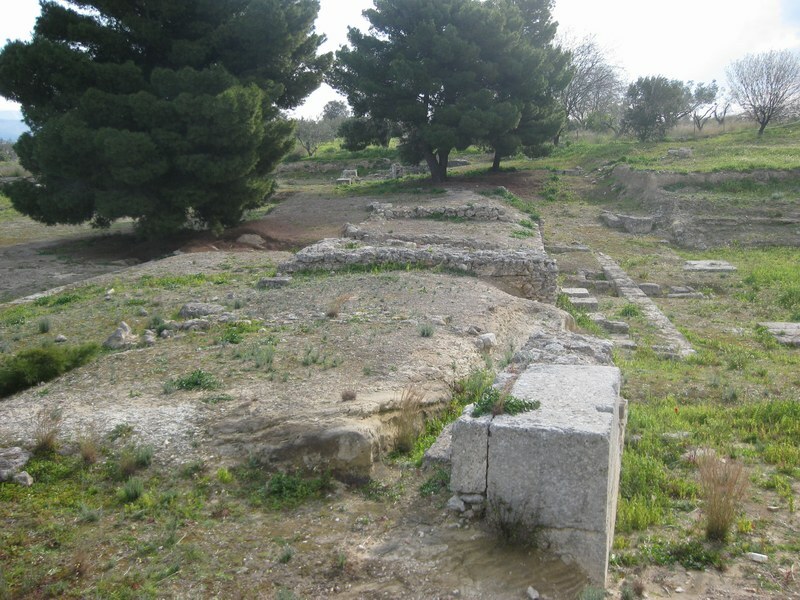 The theater’s first construction dates back to the second half of the 5th century BC. About a century later, the theater was reconstructed. The theater’s cavea was enlarged in Roman times. The stage was reconstructed, possible in 68/69 AD. Plans for further enlargement were made in the 2nd century BC but the works stopped before laying the foundations. The theaster is in a bad condition. Its seats have not survived whereas parts of the stage are only preserved. The excavation has not been completed in part of the stage. Due to the bad preservation state of the theater, its use for events is not possible. The theater has never been used as a venue for performances. 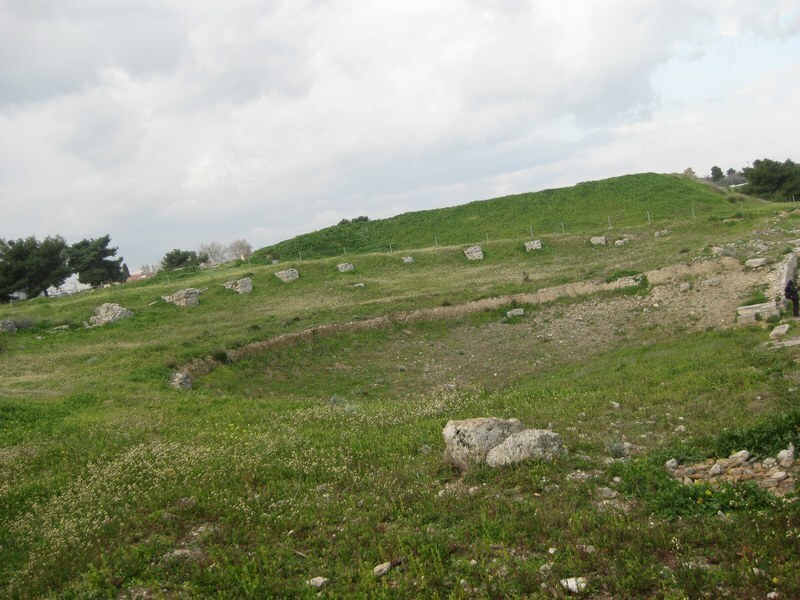 The monument belongs to the jurisdiction of the Ministry of Culture and the Archaeological Service for the Prefecture of Corinthia (37th EPCA). Ministry of Culture & Tourism / 27th Ephorate of Prehistoric and Classical Antiquities.